By shutting down the Wii Store Channel and not letting users download old games, Nintendo is once again showing that in the modern digital era, you don't actually own the things you buy. Docprof Says: This isn't a new problem, but the Wii Shop closure shines perhaps the brightest light yet on how anti-preservation many digital storefronts are. 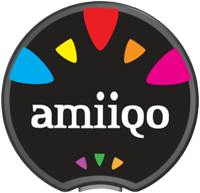 The Amiiqo is a recently announced device that can be used with an Android phone or tablet to back up and restore data from Amiibo figures. This data can easily be shared online, which means that the Amiiqo also effectively enables piracy of Amiibo. Amiibo have only been around since November 2014. They aren’t the first major toys to life franchise - Skylanders came out in October 2011 and Disney Infinity launched in August 2013. ( U.B. Funkeys in 2007 was a bit before its time, and I’m not sure when Hero Portal started because it’s not even on Wikipedia.) They all use similar technology (Amiibo uses NFC while others use RFID) and can thus all be backed up and pirated in roughly the same way. While the Amiiqo is not the first toys to life backup device to be announced (see, for example, MaxLander) it’s the first targeted specifically toward Amiibo and is getting more attention. Why would Amiibo piracy be so much more interesting than Skylanders or Disney Infinity figure piracy? While Amiibo are in many ways similar to those franchises, there are several key differences that encourage piracy.